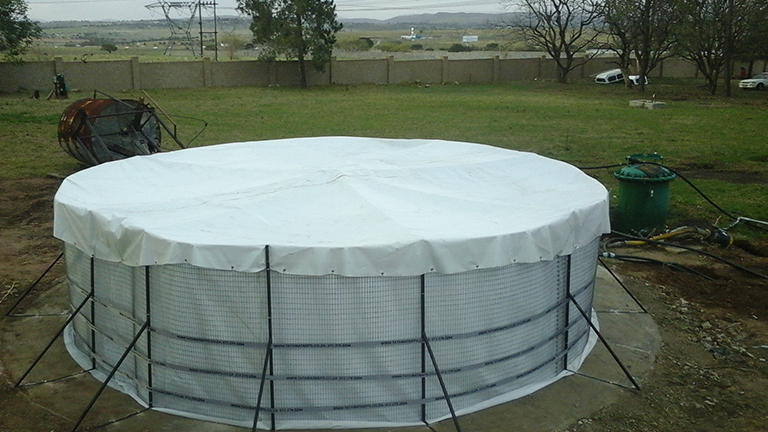 Our welded mesh reservoirs offer the most cost effective DIY water storage solutions on the market. We have our entry level range – Series 10/07, 10/11, 10/14 which has a painted welded mesh or our commercial range – Series 50/12, 50/15, 50/18 which has a galvanized welded mesh. These dams are available in a variety of sizes and depths, ranging from 2m diameter up to 9.45m diameter with depths ranging from of 0.7m up to 1.8m. Offering holding capacities of 3400 liters up to a maximum of 128000 liters depending on the range chosen. Both series offer 3 options of liners depending on the use of the dam and ones budget. • 420 micron – Irrigation and aquaponics systems best suited for indoor use. 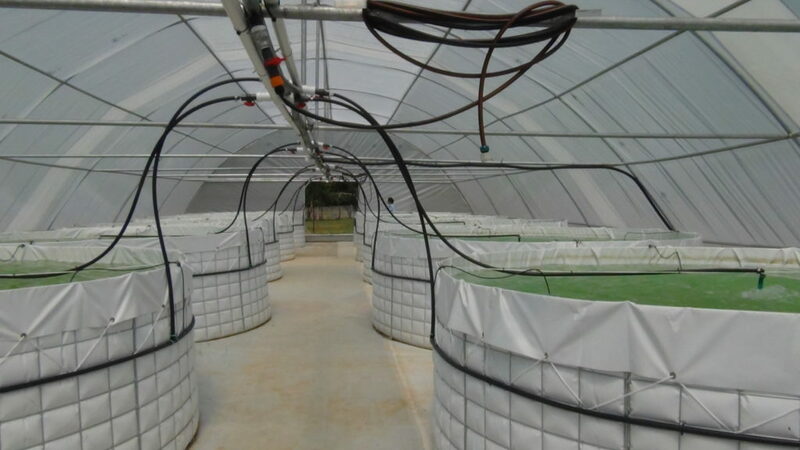 • 650 micron – Fish farming (tilapia, koi, barble) , aqua culture, irrigation, swimming pools. Best for outdoor use. 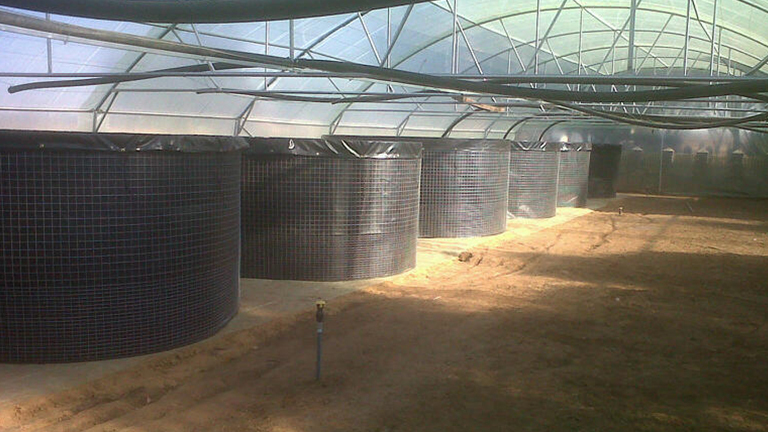 • 800 micron – (recycled material) suited for fish farming (tilapia, koi, barble ), aqua culture, irrigation, swimming pools. Best for outdoor use. Best value for money. 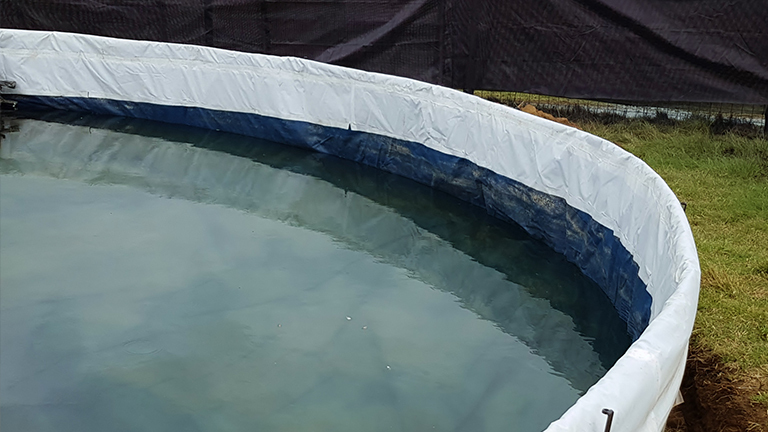 Pre-liners and geo mats are good for dams that will be used outdoors and are manufactured from recycled 320 micron PVC mesh or 400 micron polyester scrim reinforced PVC. 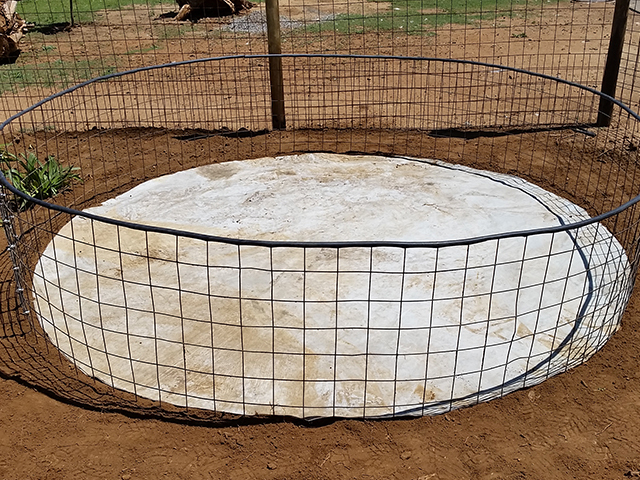 Pre-liners and geo mats are used as UV and chafe protection between the welded mesh, ground and the liner. These are standard with our 50/12 to 50/18 series and optional extras with our 10/07 to 10/14 series. A UV shield is recommended when a reservoir cover is not being used. 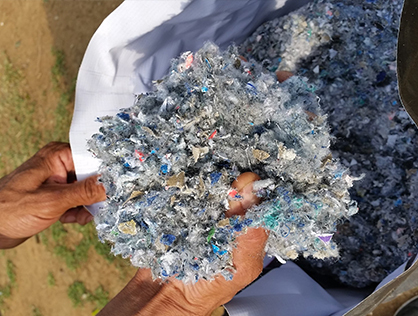 A 320micron PVC mesh (net) is a specialized reinforced PVC mesh that is welded into place on the dams walls to protect the liner from extended UV damage, it covers the section of the liner that folds over the outside of the wall, the section on top of the wall and approximately the first 70cm inside the dam. This is especially useful on irrigation dams where the water levels are continually fluctuating, leaving the walls of the dams exposed to the suns UV rays on a daily basis or for an extended period of time. Thermal insulating fibre for insulating dam floors and walls to help temperature control of water.